Jack DeBoer began his career selling real estate during the summers while in high school in Kalamazoo, MI. After graduating from high school, he attended Michigan State University where he graduated with a business degree in 1952. Following two years as a Military Police Officer in the Korean War, he returned to Michigan to team up with his father to build homes. In 1966, he began building apartments across the country and by 1973 his company had built over 16,000 apartments in 30 cities. At the time, National Real Estate Investor recognized DeBoer as the “second-largest multi-family developer in the United States.” He also planned and assembled the 4,000 acre Comotara neighborhood development in northeast Wichita. In 1975, DeBoer designed and built the first Residence Inn all-suite hotel located in downtown Wichita. He was a pioneer in the all-suite hotel concept and he built or franchised 100 hotels before selling the Residence Inn Company to Marriott Corporation in 1987. During that time, he also developed the Grand Champions Club in Aspen, a world class tennis facility and health club, to which Maroon Creek Golf Course and residential lots have since been added. In 1988, DeBoer co-founded Summerfield Hotel Corporation, a second-generation, upscale, all-suite hotel chain. He served as Co-Chairman of Summerfield’s Board of Directors. In addition, he served as Chairman of the Board and President of Express Designs, Inc. and Chairman of the Board of Hix Corporation in Pittsburg, Kansas, which he and a business partner purchased. Hix is the premier manufacturer of printing equipment utilized worldwide by the imprinted sportswear industry. He also became a partner in Manning & Smith, a national insurance agency insuring over 1,400 hotels. In 1995 DeBoer founded Candlewood Hotel Company, an extended stay hotel concept. He served as Chairman and CEO of Candlewood until its purchase by Intercontinental Hotels Group in December 2003. 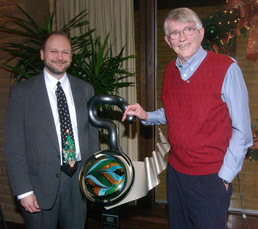 In June 2002, Jack founded Value Place, an unique hybrid concept that blended the extended stay hotel and short-term apartment concepts. Value Place went on to become the fastest growing hotel chain in the nation with 100 locations opened in less than five years. In addition to his numerous successful business ventures, DeBoer is active in many business and civic organizations. He has served as past-President of the Wichita Area Chamber of Commerce and served as a trustee of Innkeepers Real Estate Investment Trust. In addition, he served as Chairman of the Board of Trustees of Youth for Understanding, the world’s leading student exchange organization. He also served as a Board Member of the Wesley Medical Endowment Foundation and the Greater Wichita Community Foundation. In 1990, he spearheaded the movement to revitalize downtown Wichita and continues to be a leader in downtown growth and revitalization through his WaterWalk development. Mr. DeBoer has been presented with many distinguished awards for his lifetime of achievements. In 1992, he was given the very highest recognition by The Wichita Chamber of Commerce, “The Uncommon Citizen” award. In 1997 was inducted into the Wichita Business Hall of Fame. In 1999, Jack was included in The National Registry of Who’s Who™. In January 2001 he received UCLA’s Hotel Industry Lifetime Achievement Award. In October, 2001 he was presented with the Distinguished Alumni Award from Michigan State University. In May 2005, he was honored with a Doctorate of Humane Letters from Sterling College, Kansas. In addition to his professional achievements, DeBoer also leads a dynamic and rich personal life. As an active pilot and collector of World War II aircraft, DeBoer frequently flies his aircraft as Captain, and he currently holds the 3 kilometer world speed record for jet aircraft under 18,000 pounds. In 1988, DeBoer and his wife, Marilyn, completed a four month around the-world trip in his Gulfstream II. The itinerary followed the history of man for the past 7,000 years, and they studied the needs of the world. From this experience, they are now deeply involved in World Vision projects in Burma. The WSU Center for Real Estate and the Kansas Chapter of CCIM are proud to honor the great achievements of Jack DeBoer by choosing him as the recipient of their 2008 Lifetime Achievement Award. Mr. DeBoer is the fourth recipient of this award, joining Colby Sandlian, the late Jack Hunt and George Ablah.